The Calabash Tote was a result of our family trips to the NC coast. From the beach to the shops to the famous Creamery, the need to grab-and-go inspired this new tote bag design! 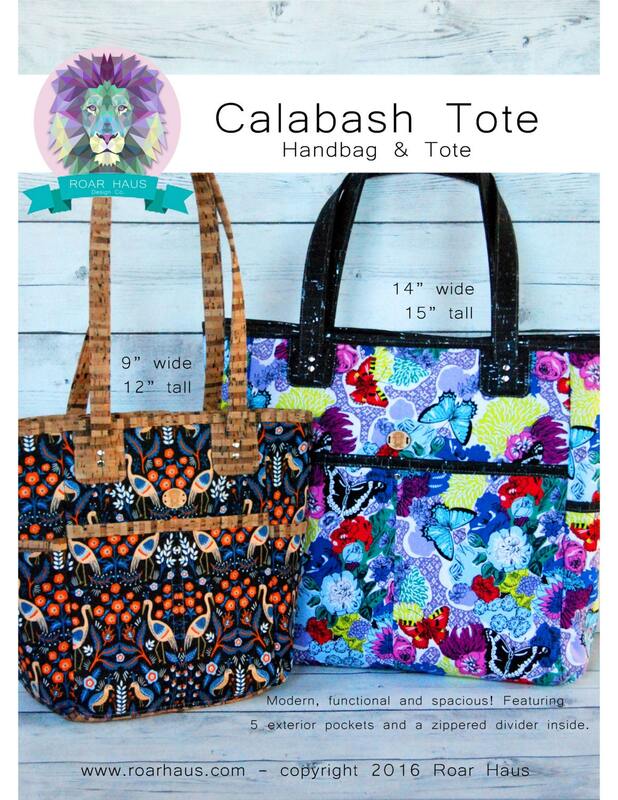 Available in two sizes; the handbag is perfect for daily use and the tote is great for a beach day or an overnight bag! Each features 5 exterior pockets and a center zipper divider to keep all your necessities close at hand. Easy to customize! Fussy cut the pockets and add cork or vinyl to make your bag stand out! Use #roarhauspatterns and #roarhauscalabash when sharing on social media!